Frankfurt is Germany's fifth-largest city with a population of about 730,000 and serves as the administrative and cultural center of the Frankfurt Rhine-Main metropolitan region. The city holds an important place in European economic life as the location of the European Central Bank’s headquarters. The city combines old and new in its neighborhoods, which include historic districts like the Altstadt, or Old Town, blending into modern business zones lined with towering skyscrapers. 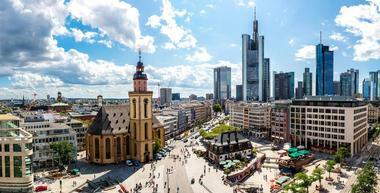 Here are the best things to do in Frankfurt, Germany. Berger Strasse, or Berger Street, is Frankfurt’s longest road, a path that runs for 3 kilometers through several of the city’s neighborhoods, including Merianplatz and Bornheim. The street is a lively one covered in restaurants and boutique shops. Cafés and pubs line the pathway with outdoor seating in the spring and summer, and tourists and locals regularly enjoy strolls up and down the Strasse. The area in Merianplatz is trendy and upscale, while upper Berger Strasse has an Old World feel, as the road is peppered with original wooden buildings constructed in the 1600s. This part of the road runs through the Bornheim neighborhood, which is known for its cobblestone walkways and historic clock tower. In a city of contemporary high rises with modern, clean lines, the Eschenheimer Turm certainly stands out as a piece of the distant past. 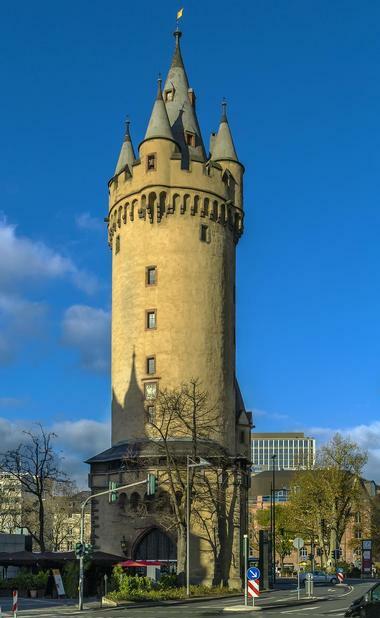 This medieval tower, which was built in the early 15th century as part of a much larger fortification structure, sits unexpectedly in the middle of Frankfurt’s bustling downtown. In the 19th century, most of the fortress was demolished as it was no longer being used for military defense, but pleas from Count d'Hédouville, the French ambassador at the time, saved the Eschenheimer Turm from a similar fate. Today, the 47-meter-high tower is an important city landmark, and its ground floor even contains a bar and restaurant. Established in 1972, the Frankfurt Children’s Museum is the oldest children’s museum in Germany and the only museum of its kind left in the city. This space is packed with interactive exhibits and activities that introduce children to the cultural and historical life of the city of Frankfurt. Most of the museum is targeted towards children ages 6 and up, but a mini-museum within the facility offers fun for younger children as well. Its spaces include workshop areas and hands-on displays that tap into children’s natural curiosity. Despite being located in a massive metropolis, the Frankfurt Zoo is a 27-acre territory of comfortable green space in the center of the inner part of Frankfurt. The Frankfurt Zoo is the second oldest in Germany after the Berlin Zoological Garden, and contains over 4,500 animals from approximately 450 different species. These species span the animal kingdom to feature fish and reptiles, creatures from African jungles, and even nocturnal animals who live in a special “nighttime” area. 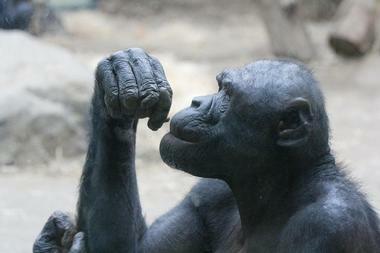 The Frankfurt Zoo is part of a larger conservation effort, so it presents visitors with a wealth of information about the animals in its quarters. The zoo has a playground for children and concession areas where food and drinks are sold. The Frankfurter Römer is the name of Frankfurt’s city hall, and the beautiful building in which it is housed has been inspiring awe throughout the city since its construction 600 years ago, in 1405. The Römer’s most famous façade is on its eastern side facing the Old St. Nicholas Church across a large pedestrian square in the city’s Altstadt, or Old Town. The grandeur of the structure comes from the fact that it was the property of a wealthy merchant family before becoming an administrative municipal building. The inside still fulfills this function, so unfortunately, the Römer’s beautiful interiors are not on display as a museum. 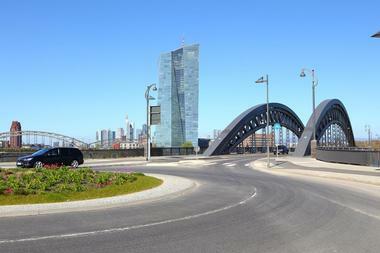 Still, nearly all who come to the city rush to see this iconic piece of Frankfurt history. The Gerechtigkeitsbrunnen, or Fountain of Justice, is another Frankfurt landmark placed on the Römerberg, the square located near the Römer, the city’s beautiful municipal building. The fountain was originally built in 1543 as a tribute to the city, but the statue that sits here today was reconstructed later. 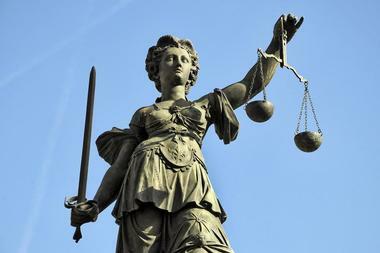 The main focus of the statue is Justitia, the goddess of justice, who holds above her head a sword and scales. Around her on the four corners of the fountain’s pedestal are four nymphs from whose breasts water flows. The towering bronze statue is a recognizable symbol of Frankfurt and one of the city’s most common photo and meeting spots. 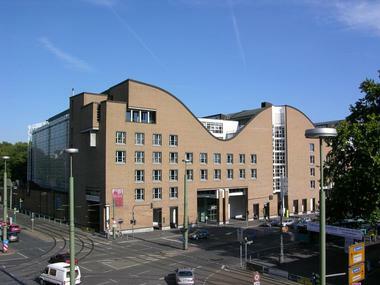 The German Film Museum, or Deutsches Filmmuseum, presents all things movies in its permanent and temporary curated exhibits. The permanent exhibition halls deal with the art of film, presenting the cinematic tradition and how film has been used as an artistic medium. 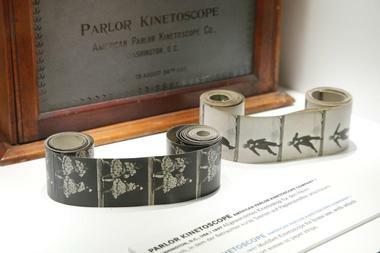 The museum focuses on both the technical side of moving images and the storytelling aspects of the craft. Several temporary exhibitions rotate through the facility, each developing on a more specific theme, perhaps one movie or a single director. 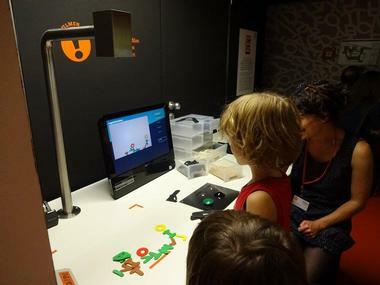 The German Film Museum also has an in-house cinema with regular film screenings and educational and outreach programs for children and adults. 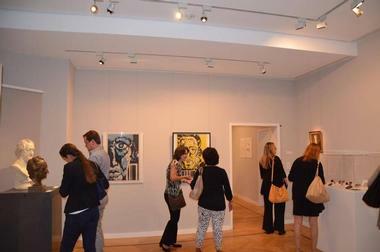 The Museum Giersch is the perfect Frankfurt stop for art and culture buffs. The Giersch focuses specifically on local artistic works from the Rhine-Main region of Germany, limited in this way only. Its collection spans a number of genres but focuses heavily on the 19th- and 20th-century time periods. What makes this museum interesting is that of its four floors, only the ground level holds a permanent exhibition; all the other floors feature temporary displays. The Museum Giersch is housed in a beautiful neoclassical-style building, which was purchased from a family of wealthy entrepreneurs and can currently be rented out for events. 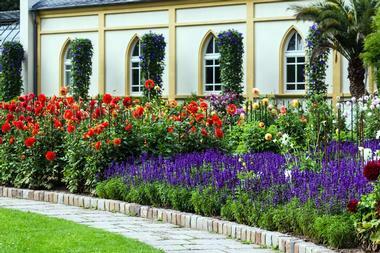 The Goethe House honors the life and times of famous German writer Johann Wolfgang Goethe. The Frankfurt home was Goethe’s birthplace and childhood residence, where he lived out his early years with his sister Cornelia. The four floors of this beautiful historic house are restored to look as they did in Goethe’s time, and each of the rooms is decorated in a uniform style to represent the fashion of the day. Many original artifacts are still located here, and portraits give visitors a sense of what Goethe’s family looked like. 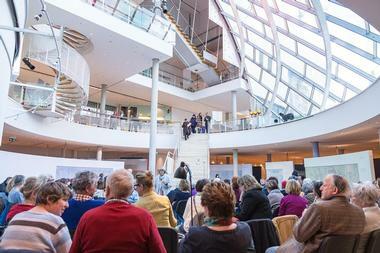 The history of Goethe’s Frankfurt years can be explored in an exhibit on the third floor. Gude Pub Crawl Frankfurt is an excellent introduction to nightlife in one of the most famous city neighborhoods in the world, the Central Station district of Frankfurt. This area has gone through many phases in its history, and today it is a diverse locale with a number of interesting bars, clubs, and cafés. 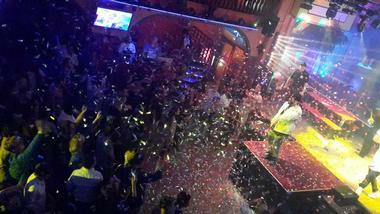 During the pub crawl, a local guide takes the group to the best of the area around the central station, incorporating a mix of relaxed bars and high-energy nightclubs. Naturally, the crawl takes place in the evenings on the weekends and lasts as long as participants have the stamina to keep going. Hammering Man is a unique 21-meter-high sculpture designed by artist Jonathan Borofsky to sit in front of the geometric Messeturm skyscraper in Frankfurt’s Westend-Süd neighborhood. Commissioned in 1990, the Hammering Man soars above all its surroundings against the high-rise building that forms its backdrop. The statue is of a man who uses one hand to continuously hammer an object which he holds in the other; this motion is generated by a motor. This figure represents the working world and the connection between the mind, hand, and heart in work. 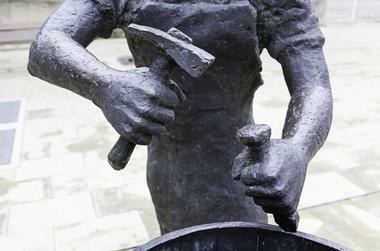 The striking sculpture is made of steel and is mirrored by other hammering men in major cities throughout the world. The museum is closed for reconstruction. Opened in 1988 in honor of the 50th anniversary of the Kristallnacht pogrom under Nazi rule, Frankfurt’s Jewish Museum is the oldest of its kind in the country. 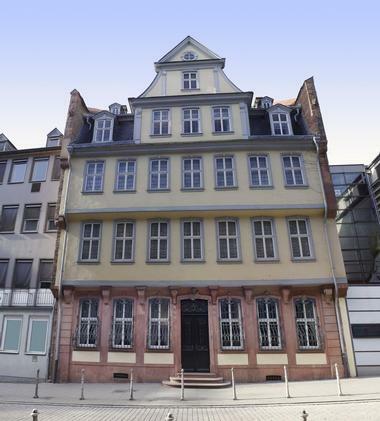 The artifacts of the museum’s two locations tell the history of Jews in the city of Frankfurt. One location at Judengasse narrates this group’s story up to 1800, while the other, a site at Rothschildpalais, continues the tale to the present day. The museum’s collection focuses on Jewish ceremonial culture and art as well as on several famous families such as the Anne Frank family. It also houses extensive document and photograph records. 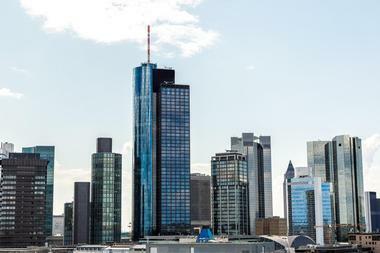 While walking tours take guests around the city of Frankfurt at the street level, few sites offer a better birds-eye view of the metropolis than the Main Tower, a 56-story skyscraper in the Innerstadt district. The Main Tower is an architectural wonder, its rounded tower covered entirely in glass panes, which give the building a welcoming, open feel. The building is functional and houses a number of businesses and offices, but tourists come for the stunning vistas found at the open-air observation deck above the top floor. As a guest, one can also enjoy the high-end restaurant located near the top of the tower or the extensive art collection lining the structure’s interiors. The Museum fur Kommunikation, which was opened in 1958 as a postal museum, is the oldest exhibit along the Museumsufer, or Museum Riverbank. Now located in a sleek, modern glass building, the Museum fur Kommunikation presents more than just postal technology. Rather, it focuses on how communication has changed through the ages, with artifacts such as telegraphs, telephones, and computers. A news exhibit tells the story of how writing evolved from the ancient Mesopotamian civilization to present-day news in its current form. 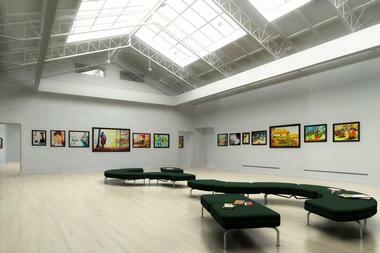 The museum also has an area devoted to new media, which places communication in its cultural and societal contexts. The Frankfurt Museum of Applied Art has a long history of displaying great works from the applied arts since its establishment in 1877. Its collections cover 5,000 years of history, with pieces spanning the 12th century to the modern era. These pieces include objects such as books, handicrafts, and graphic design works from all over the world, including East Asia and the Islamic world. All the artworks are held in a modern glass building designed by world-famous architect Richard Meier, which combines the classic feel of the museum’s original villa building with the avant-garde nature of some of its skillfully created pieces of applied art. 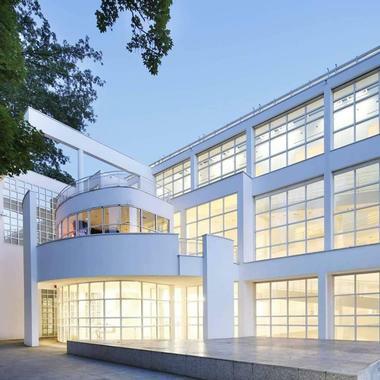 Frankfurt’s Museum of Modern Art opened not long ago in 1991, but even in its short lifespan of only a few decades it has established itself as a prominent collection of important modern art works. The structure that houses the museum is a sight in itself as it was built in the striking post-modern architectural style. Indoors, the museum has a permanent collection of more than 5,000 pieces from all over the world, all of which date from the 1960s or later. The collection’s heart is in its American Pop Art and Minimalism pieces, but it also includes important works from the 1980s and 90s and even the present. Amidst the concrete, skyscrapers, and historical city buildings of Frankfurt sits a hidden tropical oasis, the Palmengarten, or Palm Garden. This botanical garden is a labyrinth of paths and green spaces that introduce patrons to a host of colorful, eye-catching plant ecosystems not found in the Frankfurt climate. The gardens include a subtropical palm house, where giant leaves and ferns create an almost jungle-like atmosphere. Other warm-weather highlights include the tropicarium and the cactus and rhododendron gardens, which feature plants from regions nearer the equator. In contrast, the Palm Garden also has a sub-Antarctic house, which displays fauna from much colder regions on the edges of the planet. Although Germany is known more for its hearty ales than its fruits, the Possman cider winery provides an example of the country’s delicious apple wine industry. 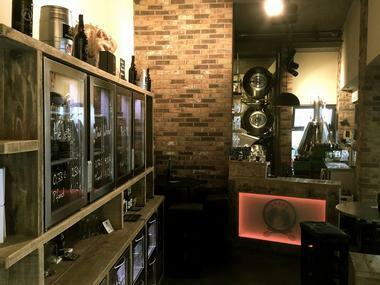 Possman was opened in 1881 and has grown with the city of Frankfurt over the years, continuously providing high-quality apple wine and apple juices in the tradition of the founder himself, Philipp Possman. The family-owned cidery introduces guests of the city to a variety of tart wines, cloudy and clear juices, and sparkling ciders made from Hessisch apples. 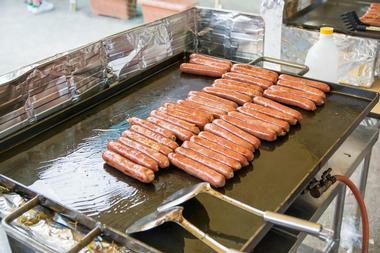 Guests can also enjoy Frankfurter menu items such as sausages and sauerkraut on the extensive grounds of this historic apple wine tavern. 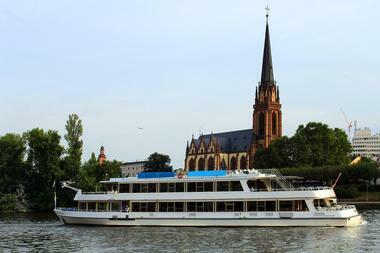 Primus Linie provides tours of Frankfurt from another vantage point, the beautiful waters of the Rhine River. Instead of a tour bus, this company has a fleet of large ships ranging from party boats to luxury cruisers. They offer a 50-minute sightseeing tour with commentary on the major landmarks of the city as well as a number of other more relaxed cruising options. These include dinner cruises, Sunday brunch excursions, and fireworks trips, plus seasonal packages that celebrate special events and holidays such as Oktoberfest and Christmas. Primus Linie can also take passengers on day trips to cities near Frankfurt, including historic Heidelberg, Koblenz, and Bonn. 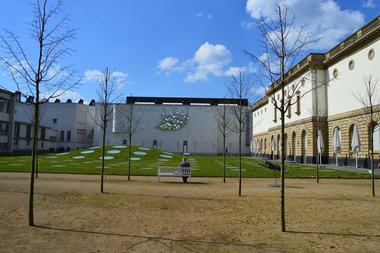 The Staedel Museum is the home to one of Germany’s most significant art collections, containing 2,700 paintings, 600 sculptures, and hundreds of thousands of drawings. The museum resides in a stately Gründerzeit-style building erected in the late 19th century and restored following World War II. The Staedel’s holdings are comprised of pieces of European art from the past seven centuries. It displays many works from world-renowned European painters, such as Jan van Eyck, Rembrandt, Hieronymus Bosch, and Edgar Degas. In recent years, the museum has made a significant effort to improve its digital presence through numerous features, including a mobile application for visitors. The BrauStil brewery blends the classic German beer garden with the modern craft brewing movement in a small venue in the Nordend neighborhood of Frankfurt. In traditional fashion, guests sit at long tables together with strangers and enjoy a glass or two of beer. The venue has a rotating selection of beers on tap, usually with three or four different varieties available at any given time. 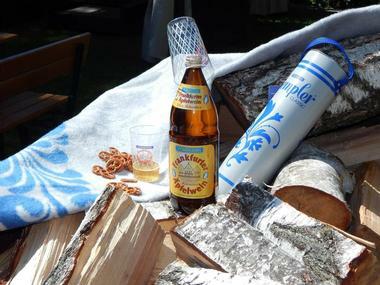 The microbrew offerings here differ from the labels commonly found throughout Frankfurt, making BrauStil a particular favorite among beer connoisseurs. Food from a nearby fine foods shop can be ordered at the bar or at tables. Eat-the-World Food Tour Frankfurt introduces guests of the city to its rich history and culture by way of the best in local cuisine. All tours offered by the company are walking tours during which a guide shows off sights and landmarks while giving the group a chance to eat like locals. Each includes the opportunity to sample tastes of the town at some of the city’s best shops, markets, cafés, and restaurants. Eat-the-World has more than one tour in Frankfurt, and each one focuses on a different neighborhood, such as Sachsenhausen, Nordend, and Bahnhofsviertel. Although the German culinary tradition is featured, the food tours also highlight the international cuisines prominent in the Frankfurt foodie scene. 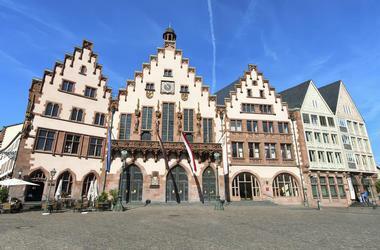 Frankfurt City Tour is a company that provides guided bus tours of the city several times a day. Each tour, lasting approximately 2 hours, covers the major highlights and includes live narration by a tour guide who is available to answer questions. The ride covers the Embankment, the European Central Bank, the old city center area known as Römer, and the modern banking district, which is lined with tall skyscrapers. The sights include the old and the new, from classic half-timbered houses to glass-covered high-rise buildings. Door-to-door pickup and drop-off as well as headphones with guides in other languages are available for a fee. The Frankfurt Free Alternative Walking Tour is run by a group of enthusiastic students who want to share Frankfurt’s interesting history and architecture in a fun, approachable way. 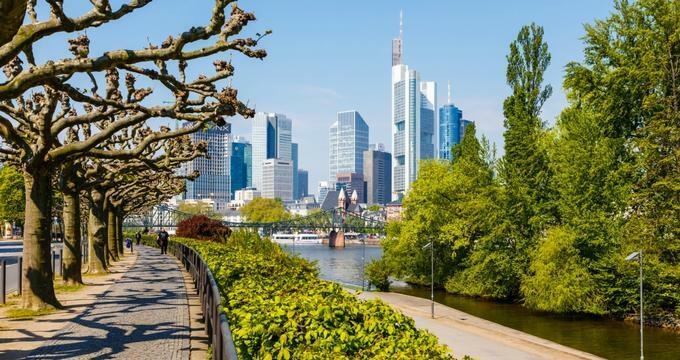 The tour begins each afternoon in the absolute center of the city, rain or shine, and weaves its way through the most important sites of the central station and downtown areas of Frankfurt. This independent alternative free walking tour lasts approximately 2.5 hours and takes place largely outside. Each guide has his or her own style, so while the main themes remain the same, the stories and presentation may differ between them.